After having Christmas meal leftovers, it was time to have an easy meal. Preheat over at 200 degrees Fahrenheit. 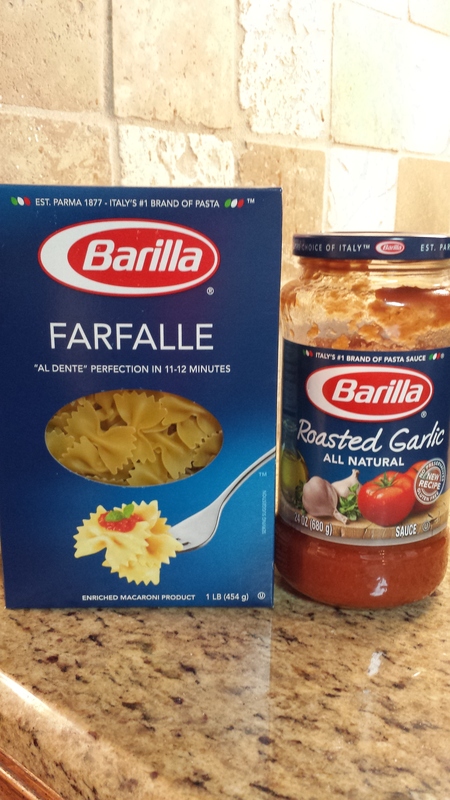 1- Cook farfalle pasta al dente as directed by the package instructions. 2- Coo over medium heat chopped vegetables for about 10 minutes. 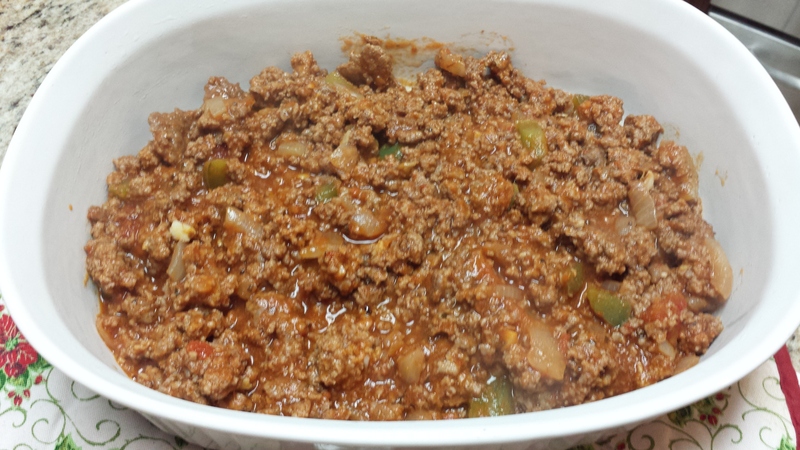 3- Add ground beef and brown. Drain the fat and return to the heat. 4- Add the tomato sauce. I like mine chunky so I added almost the entire bottle. 5- Let the meat return to boil and then dropped to low and cook for 15 minutes. 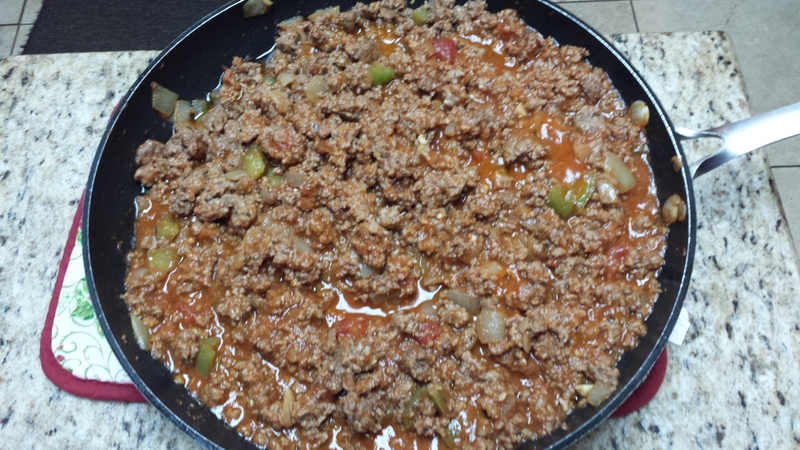 6- Once meat and pasta are ready, spread a layer of meat sauce at the bottom of the pan. 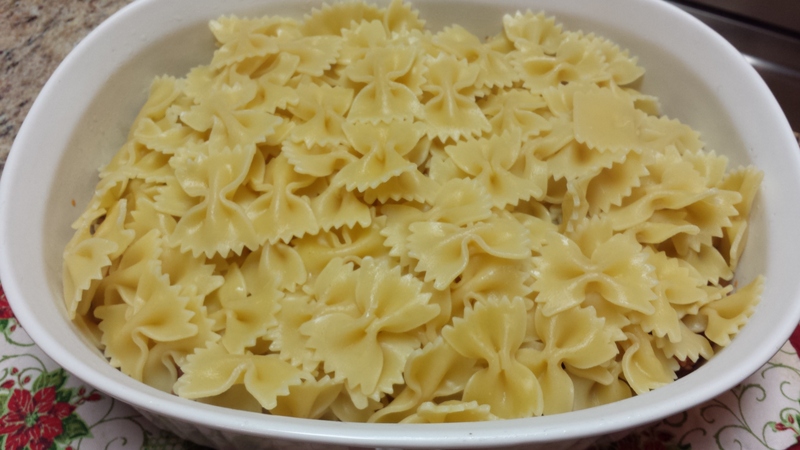 7- Add a layer of farfalle pasta. 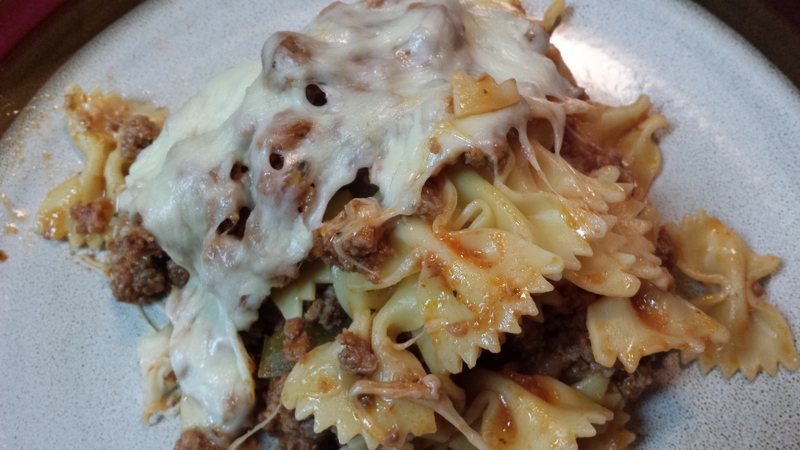 8- Repeat steps 6 and 7 until you have used your meat sauce and farfalle pasta. 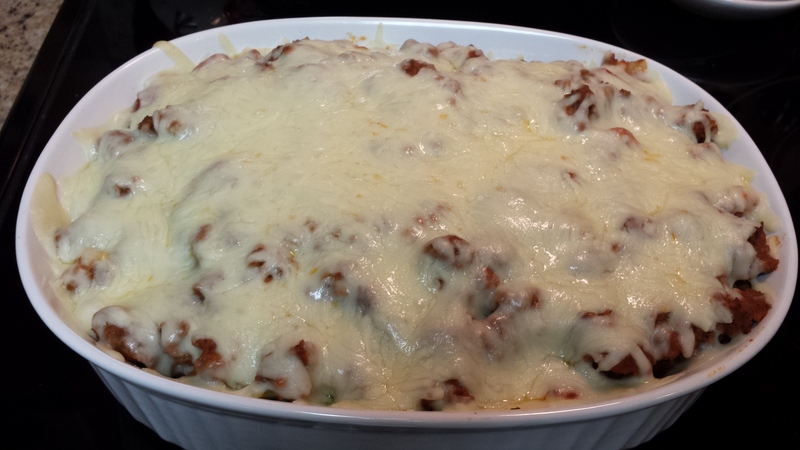 9- Top with shredded mozzarella cheese. 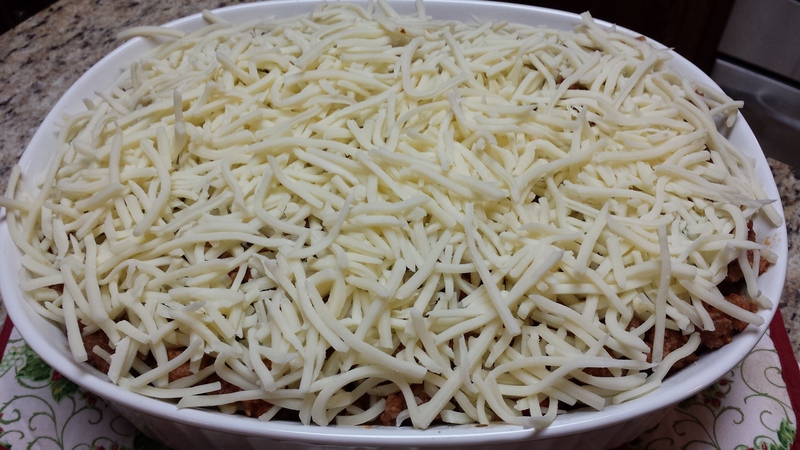 10- Place in the oven until the cheese melts. 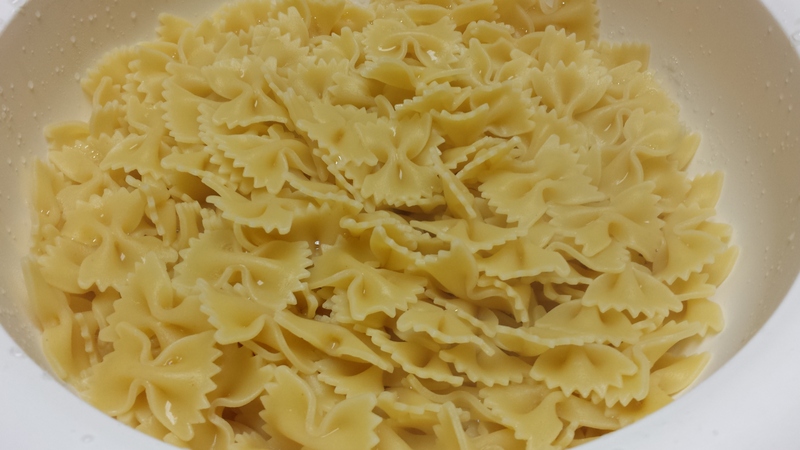 Let it cool for about 5 minutes before serving.